Deal Of The Week : Learn how to use WordPress in 1 hour without reading a word – only $19! Floored by the total number of websites out there on the Internet? Yeah, it’s pretty staggering. But the secret is, that many of them have been built by people who don’t even know a stitch of code. That’s because open-source applications like WordPress are great tools to put together a site. But they’re also a bit complex and overwhelming to use, especially for newbies, or if you’re trying to train your clients. With this incredible tutorial series, you’ll learn all of the essential basics of how to use WordPress. Helpful video instructions will walk you through everything necessary to master one of the Internet’s most popular tools. Forget reading tons of boring tech manuals. The best way to learn how to use something is to watch someone else do it. Split up into 28 parts, each high quality video in the “WordPress 101” series is professionally produced to give you a truly high-quality experience. 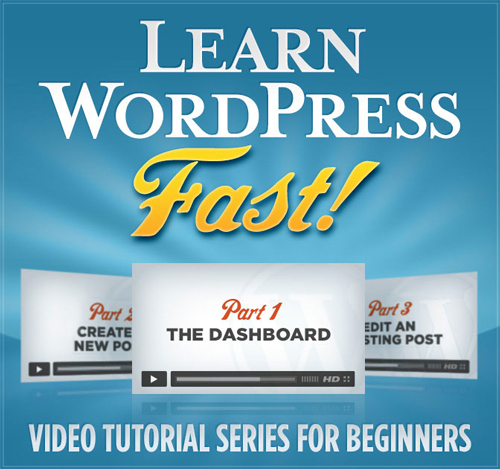 Your purchase of this Mighty Deal gives you lifetime access to the “WordPress 101” series. That means you can start and stop each video whenever you’d like. Watch and rewatch the same one until you have it down pat, or blow through a few lessons at once if you really get it quickly. You control the pacing of how you learn. As new videos are added in the future, your membership gets you access to them as well! And everytime there’s a new version of WordPress released, you’ll find a number of videos updated. All videos through this course are displayed through a gorgeous HTML5 video player. That means you can watch these videos anywhere you’d like: from your desktop computer to your tablet or smartphone! Your purchase of this Mighty Deal gets you access to an exclusive members-only forum full of questions and answers. You can even ask questions directly to series creator, Shawn Hesketh! The WP101 course is absolutely perfect for beginners. If you’ve never touched WordPress before or you’re a user but barely understand it, this course will walk you through the entire application and get you and your website set up for business in roughly one hour! WP101 normally sells for $79, but for a limited time only, you can get a lifetime membership to this incredible always-updating video series for just $19! That’s a huge savings of 76% off the regular price! Click the BUY NOW button and get your WordPress site up and running today!